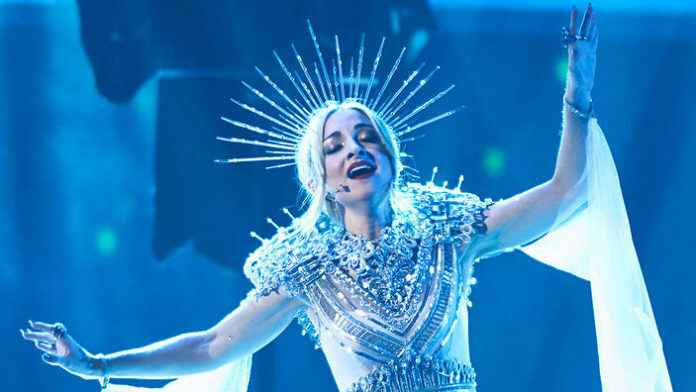 Australians have voted for the first time to choose their representative for Eurovision 2019 and Kate Miller-Heidke with her song Zero Gravity has emerged the winner. After a gruelling two days of performances for the ten acts vying for the coveted position, the Gold Coast Convention Centre was set alight last night as the final performances showed just how strong Australi’s love of Eurovision truly is. Miller-Heidke performed her song perched high above the stage on what resembled a dress that could’ve easily been taken from the cats of Wicked. As she belted out her operatic tune Zero Gravity her only support on stage was an artist lurching from side to side on a makeshift pole the bent to allow the artist to reach for Miller-Heidke at times. The act was a little bit bizarre and a little bit genius but tied with the amazing song and Miller-Heidke’s vocals, the results could only go one way with both the panel of judges and the public overwhelmingly choosing the act as number one. She scored 87 points from the Australian public and 48 points from the jury for a total of 135 points. Eurovision in Tel Aviv is next on her agenda. After the win Miller-Heidke said she was totally overwhelmed. “This has been a peak experience already, and I’m dying with excitement at what’s to come,” Miller-Heidke said. The other two favourites in the competition performed as expected.